A Muslim woman from the Bareilly district in the northern Indian state of Uttar Pradesh was forced to sleep with her father-in-law for nikah halala, after her husband gave her instant triple talaq (“I divorce you, I divorce you, I divorce you” said thrice, and the wife is out in the cold). The Bareilly woman, as if not humiliated enough by the divorce, then had to go perform nikah halala with her father-in-law, so as to be allowed to return as a wife to her husband. Note in the article below how sickeningly abusive the husband and his family were to this lady. The husband’s family even forcibly sedated her to complete the nikah halala ritual with her father-in-law. Nikah halala is yet another example of the inferior status of women in Islam. 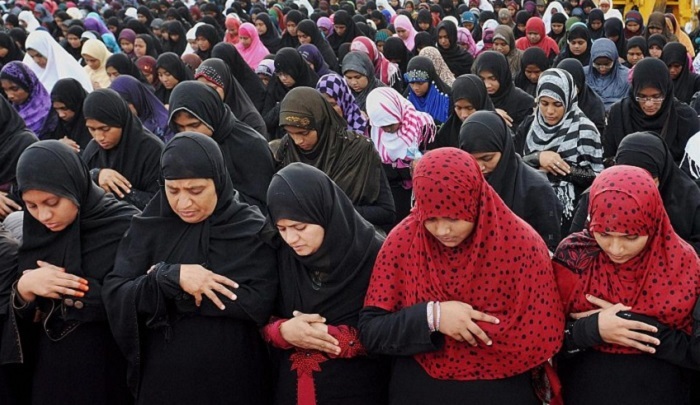 Others include the triple talaq itself, polygamy, inheritance matters (a woman’s inheritance is half that of a male), and the devaluing of women’s testimony (two women = one male, so her testimony is worth half that of a man), female genital mutilation (stipulated in Islamic law, Umdat al-Salik e4.3, and by Muhammad himself, Sahih Bukhari 7:72:777), wife-beating (Quran 4:34), and full covering — otherwise she may be abused (Quran 24:31, 33:59). Many Islamic scholars are making money off one-night stands with divorced Muslim women in the practice of nikah halala. The silence of Western feminists and media is deafening. BAREILLY: A woman in Bareilly was forced to perform the ritual of ‘nikah-halala’ with her father-in-law after her husband gave her instant triple talaq. The matter came to light on Tuesday during the hearing of a maintenance case that the woman had filed against her husband after he divorced her again in 2017 and was forcing her to perform halala with his brother. “When my sister refused to undergo ‘halala’, her in-laws forcibly administrated sedative injection on her and completed the ritual with her father in-law. For next 10 days, the elderly man raped my sister and gave her triple talaq so that she could remarry her husband. But, in January 2017, he again divorced my sister and then the family started pressing her to undergo ‘halala’ with her husband’s younger brother,” she said. It was then that the family moved family court for maintenance. The court has fixed February 15 for the next hearing in the case….